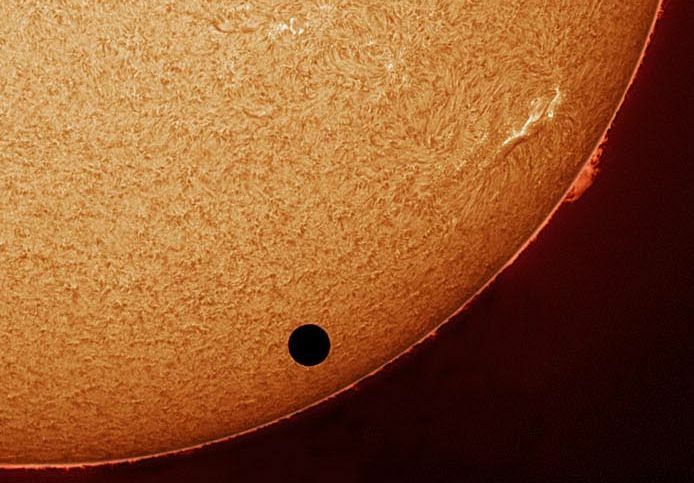 Explanation: Enjoying the 2004 Transit of Venus from Stuttgart, Germany, astronomer Stefan Seip recorded this fascinating, detailed image of the Sun. Revealing a network of cells and dark filaments against a bright solar disk with spicules and prominences along the Sun's limb, his telescopic picture was taken through an H-alpha filter. The filter narrowly transmits only the red light from hydrogen atoms and emphasizes the solar chromosphere -- the region of the Sun's atmosphere immediately above its photosphere or normally visible surface. 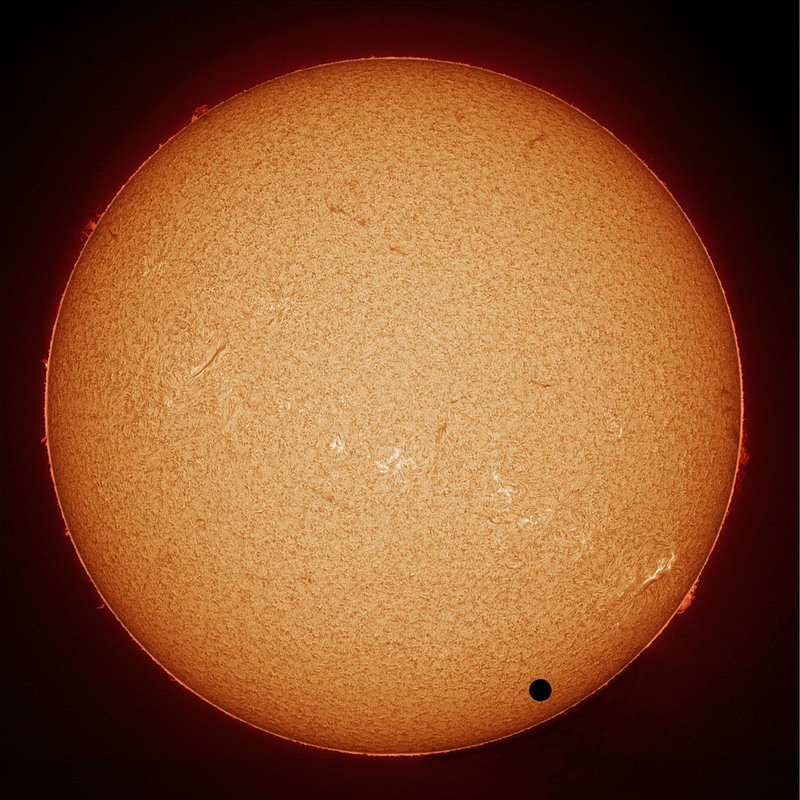 Here, the dark disk of Venus seems to be imitating a giant sunspot that looks perhaps a little too round. But in H-alpha pictures like this one, sunspot regions are usually dominated by bright splotches (called plages) on the solar chromosphere.